Last week spring and summer threw a party and danced delightedly for a while. 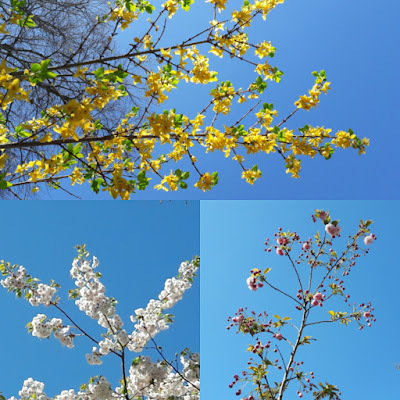 Spring brought along trees frothing over with blossom, overblown magnolia, their petals flapping lazily in the breeze, and leaves tentatively unfurling on recently bare branches. Summer contributed sunshine and warmth, temperatures reaching the low 20s and a brilliant, blue sky against which trees could triumphantly thrust their blossom-laden branches. Tulips of every hue clamoured for attention, and here and there an early iris could be seen. (Camellias unaccountably started flowering in late February, so they had already left the party, along with daffodils, having performed a heart-lifting service of heralding spring) For a week or so we basked, warming our bare limbs and feet, while tree-lined roads were transformed from the mundane into places of beauty. Everything seemed to peak on Palm Sunday. If Jesus had chosen to make his triumphant entry down the Woodstock Road, he'd have been greeted not by pale palms, but by a riotous, colourful phalanx of blossoms, and petals strewing his way. And then on Monday the sun disappeared, temperatures dropped by about ten degrees, and the sky changed, overnight, from azure to pale grey. During the week the sun has reappeared teasingly, temporarily parting clouds before disappearing again. Today has felt especially grey, but without the usual accompaniment of rain, though some has been forecast. 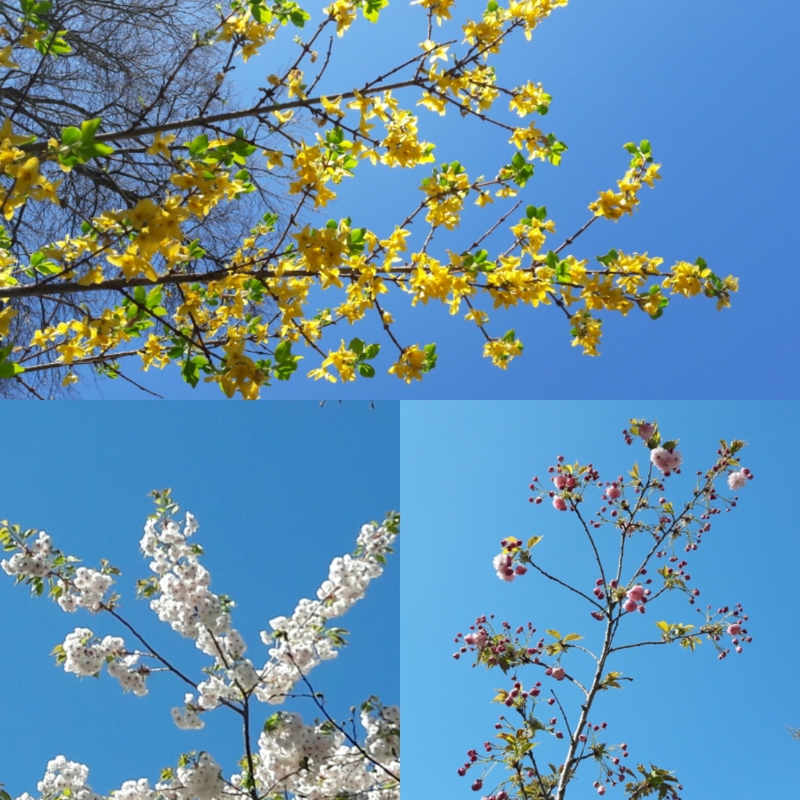 The trees are still spilling over with blossom, but whereas a brilliant blue sky heightens all colours - even the palest, a pale grey one simply dulls them.